Q-Tee, wall-mounted, makes a different modern and elegant contribution to the interior decoration of your home. The dimensions represent a simplicity that allows for fitting in without taking too much space or attention. It provides new opportunities for the placement of a fireplace. From a purely practical perspective, the wall-mounted model facilitates cleaning because it is so easy to get to. There is a shaking grate and a useful ash tray. 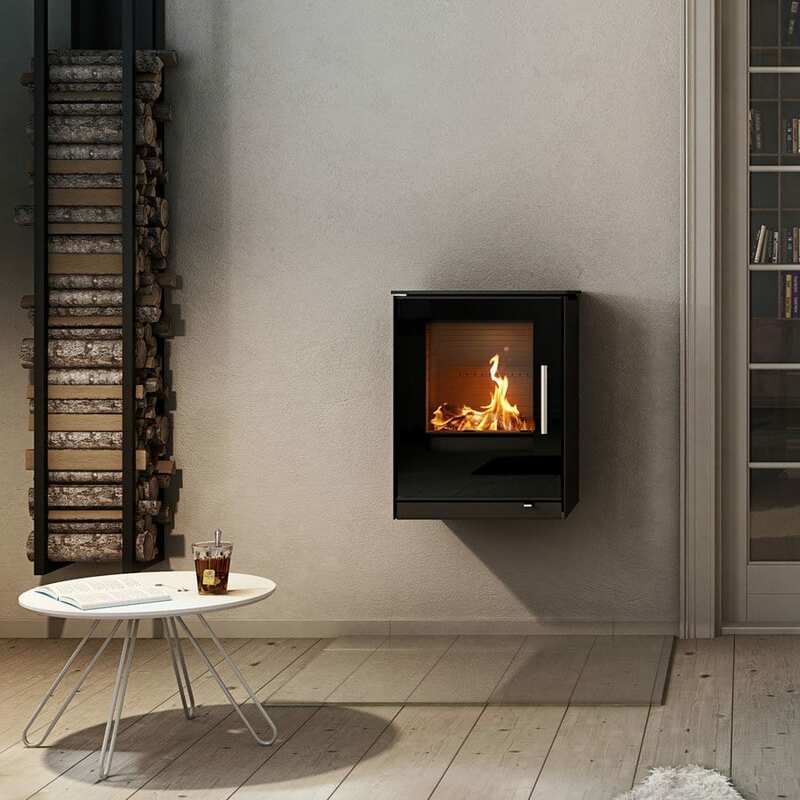 The stove is available with top or rear outlet for the flue duct. AirSystem is also available for the Q-Tee insert, taking combustion air from the outside – designed for low energy houses.